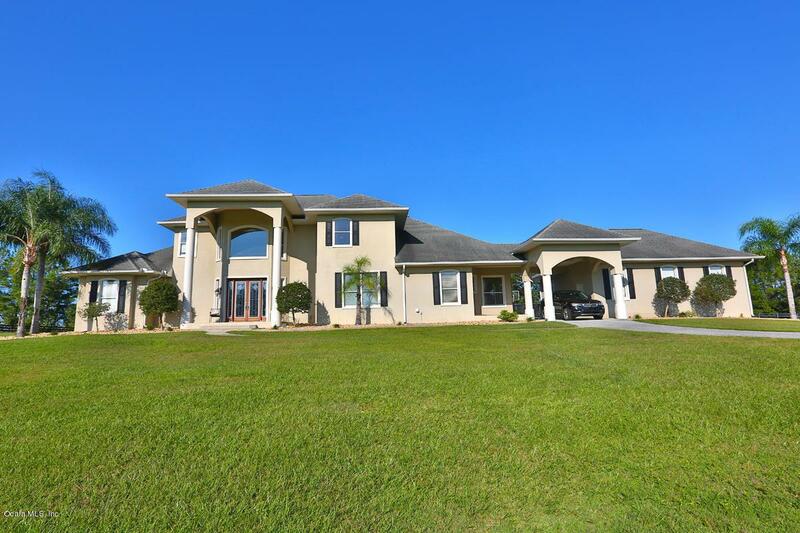 Welcome to this breathtaking Ocala hilltop estate, set on 50+/- private acres. 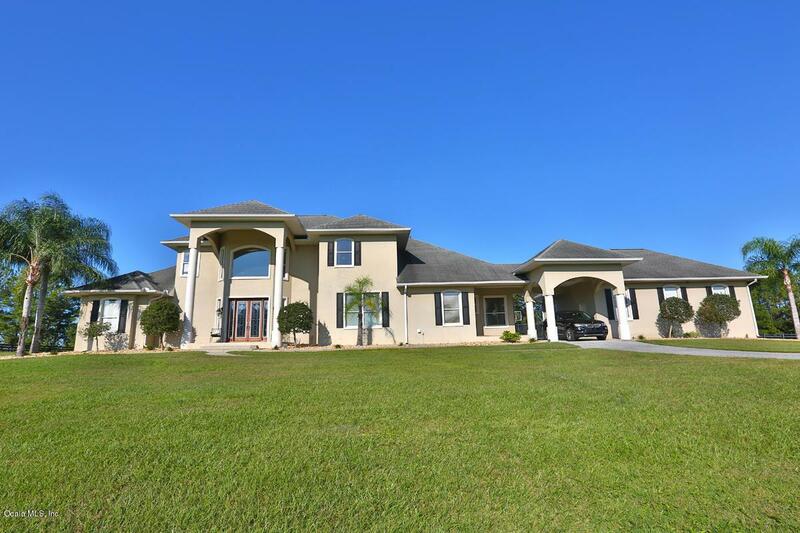 This world class estate is just minutes from the new World Equestrian Center, Golden Ocala Golf & Equestrian, HITS, Longwood Equestrian, plus major thoroughfares, restaurants, and shopping. In addition to the main residence, SEE BELOW for details on the fabulous converted barn! 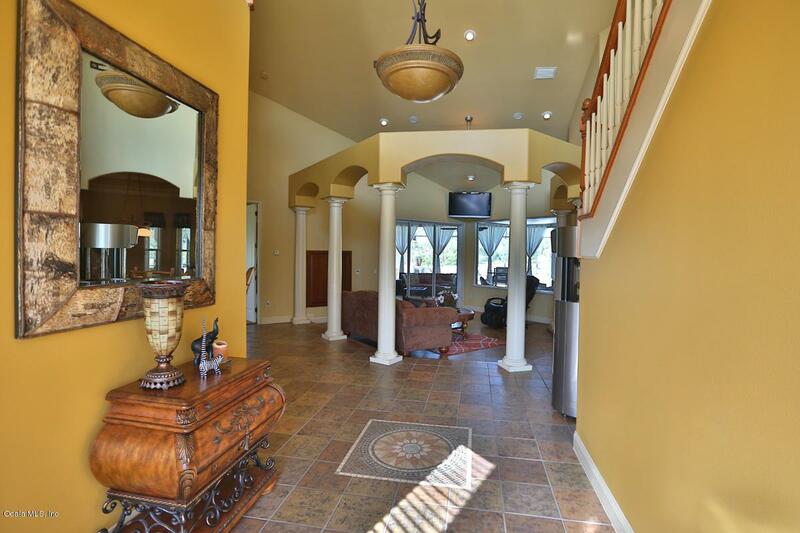 Main floor of this exquisite 4100+ sq. ft. residence features: Formal living with beverage bar, formal dining, office, kitchen opens to the family room, spacious master suite with fireplace plus 2 additional bedrooms. 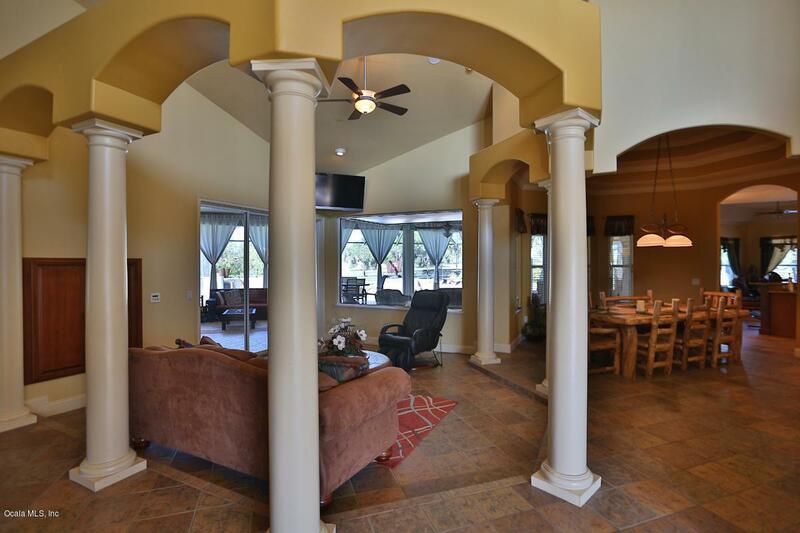 Upstairs the loft area offers: majestic vistas of private green rolling pastures and a built-in study area, large media room and full bath.Luxury oversize screen enclosed pool area with fireplace and summer kitchen, expansive covered lanai perfect for entertaining your guests. 3 Car detached garage with extra parking for visitors, plus a whole house generator. Unique converted barn: 7,805 sq. ft.; fully air conditioned with high ceilings, includes guest quarters, office spaces, expansive exercise room, large center area, tack room, bathroom, RV storage with additional garages of varying dimensions.